Speaking in an interview, THQ’s Mark Madsen revealed that the Wii U version of Metro: Last Light never began development, and it would be “correct” to say that it is no longer a confirmed title for the system. 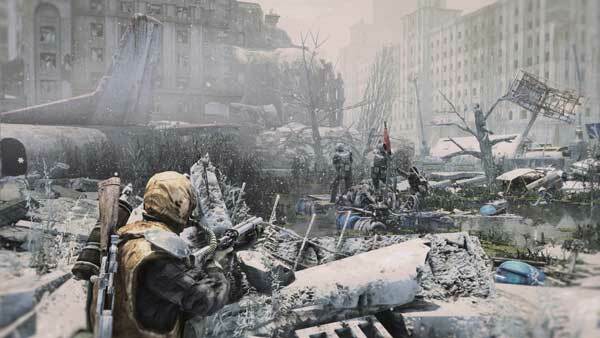 This is disappointing news, as Metro: Last Light looked to be a rather promising game. While there is still a chance that THQ may reconsider a Wii U port, it’s likely at this point that it will not happen. Very disappointed. Hopefully this game comes out with some awesome perks due to the controller. On another note, Nintendo must NOT let this to become a pattern. This happened to the Gamecube – I remember getting frustrated when GC didn’t get 3rd party titles while xbox and ps2 did. We need all the heavy hitters Nintendo. RE6, Grand Theft Auto 5, Dead Space 3 etc. E3… can’t wait…. We Never Know If A Game Is Coming Out For The Wii U Since, All Dates Are Subjected To Change.